Good morning. On behalf of the Hong Kong Special Administrative Region Government, I would like to first extend a very warm welcome to all of you, especially those coming from the Mainland and overseas, who join us today at the Hong Kong Summit. The Summit today puts regional co-operation under the spotlight, and rightly so. The global recession has refocused people on the interconnection among economies in the world. A regional economic setback may have its effect rippling and sometimes magnifying to reach a global scale. Similarly, sustainable regional development may have its positive effect reaching far and strong to support global economic confidence. The GDP of emerging and developing Asian economies, including ASEAN and Mainland China, is expected to grow by 6.4 per cent this year, according to the latest International Monetary Fund (IMF) forecast. That is well above the IMF's global growth forecast of 3.4 per cent for this year. It is very comforting to see that in the long cycle of global economic ups and downs, Asia maintains a powerful engine for growth. 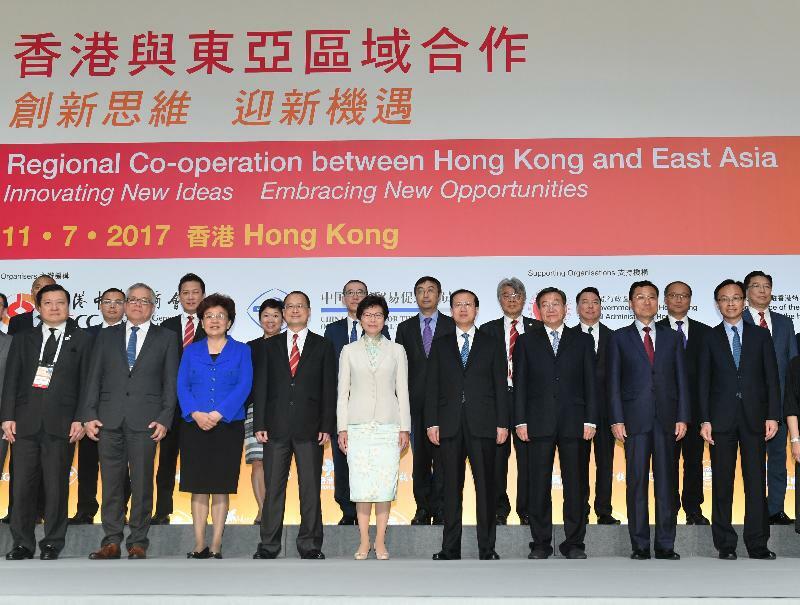 Hong Kong and ASEAN have a long-established trading partnership that is growing stronger with time. In the past few years, the ASEAN bloc has become our second largest merchandise trade partner, ahead of the United States and the European Union and behind only Mainland China. In 2015, the value of total bilateral trade between Hong Kong and ASEAN exceeded US$107 billion. Our ties with individual ASEAN economies are also growing strong. In fact, five ASEAN economies are among our top 20 trading partners. Since the launch of the China-ASEAN Free Trade Area in 2010, improved institutional co-ordination and increasingly sophisticated intra-regional supply chains have driven China-ASEAN bilateral trade to new heights. 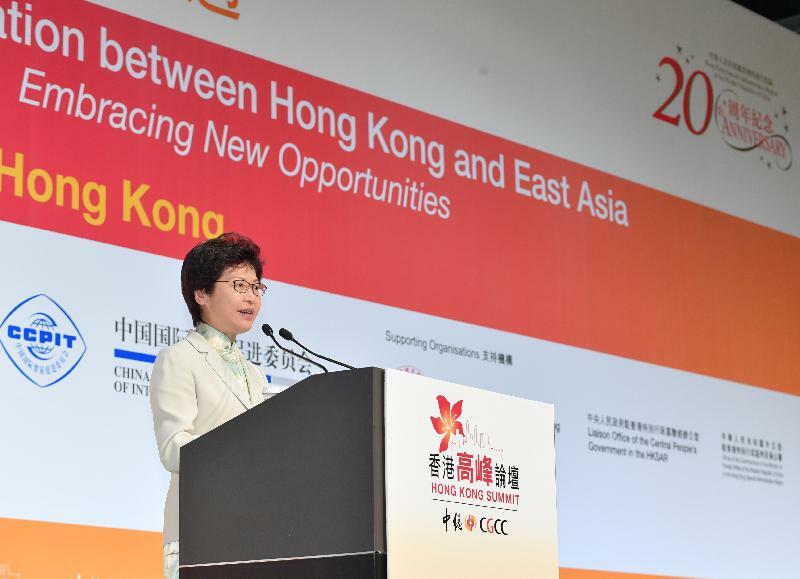 As a free and open economy right at the doorstep of Mainland China, Hong Kong is firmly committed to contributing to the economic collaboration and integration within the region, particularly between ASEAN and China. In 2016, 12 per cent of trade between ASEAN and Mainland China, with a value of over US$54 billion, was routed through Hong Kong. In fact, promoting regional economic collaboration is nothing new for Asia. When ASEAN was first established in 1967, its mission was to create a more stable and dynamic trading environment among the five founding member states. Since then, ASEAN has expanded to the current 10 member states today. More recently, the establishment of the ASEAN Economic Community is another major milestone in the regional economic integration agenda in ASEAN, and the negotiation of Regional Comprehensive Economic Partnership between ASEAN members and its six free trade pact partners aims to further strengthen economic co-operation among the countries. With these efforts, we believe that the ASEAN community will continue to scale new heights. President Xi announced the launch of the 21st Century Maritime Silk Road in Indonesia in 2013. This is seen as an indication of the important role ASEAN plays in the Belt and Road Initiative. China has also expressed its willingness to align the Belt and Road Initiative with respective development strategies of ASEAN countries and the construction blueprint of the ASEAN community in order to provide new impetus and create new prospects for China-ASEAN co-operation and growth. The Belt and Road Initiative is a global and broad vision to boost co-development by better linking up economies ranging from the sophisticated to the emerging ones. The Initiative inspires us to think beyond conventional geography and geopolitical confines. Through promoting stronger policy co-ordination, facilities connectivity, unimpeded trade, financial integration and people-to-people bonds among economies spanning Asia, Europe and Africa, the Belt and Road Initiative will generate a new driving force for development. I must mention here the unique role of Hong Kong under the Belt and Road Initiative. The Mainland and Hong Kong Closer Economic Partnership Arrangement (CEPA), implemented 13 years ago, provides preferential market access to Hong Kong service suppliers as well as tariff-free treatment for products of Hong Kong origin. That means international businesses established in Hong Kong can enjoy this preferential treatment as with our domestic suppliers. CEPA has become one of the nexus connecting foreign businesses to China through Hong Kong, and will continue to be a freeway serving traffic of all global growth initiatives. Building on our common aspiration for stronger ties, Hong Kong has been working intensively with ASEAN partners on the Hong Kong-ASEAN Free Trade Agreement (FTA) with a view to completing it very soon. The Free Trade Agreement will strengthen economic ties between ASEAN and Hong Kong by facilitating the flow of goods, services and investments. When completed, the China-ASEAN Free Trade Area and the Hong Kong-ASEAN FTA, coupling with CEPA, would provide a solid platform to facilitate trade and investment among Hong Kong and ASEAN countries. It will also help unleash Hong Kong's full potential as a hub for international trade and investment. The importance that Hong Kong attaches to the ASEAN region and co-operation between Hong Kong and ASEAN can be reflected in my decision to make the ASEAN region the destination of my first official overseas visit in my capacity as the Chief Executive. Hong Kong possesses unparalleled access across the Asia-Pacific region, and unrivalled connections both to international markets and to the Mainland of China. Our unique location on the southern coast of China, coupled with world-class infrastructure, international networking, financial expertise and professional services support, has made us a hub in the region on logistics, commercial and trade fronts. We have been servicing and supporting ASEAN businesses in capitalising on all forms of growth opportunities, including those emerging from the Belt and Road Initiative. The global economy is in need of a strong and sustainable driving force in the 21st century. With inherent attributes and a unique advantage as the gateway between China and the world, Hong Kong has a clear role in lubricating trade and investment exchange between our regional and international partners, and hence contributing to global growth and economic advancement. I thank the Chinese General Chamber of Commerce and the China Council for the Promotion of International Trade for organising this very meaningful and timely Hong Kong Summit, which also celebrates the 20th anniversary of the Hong Kong Special Administrative Region. May I wish the Summit a huge success, every one of you a very enjoyable time and our visitors a very pleasant stay in Hong Kong.